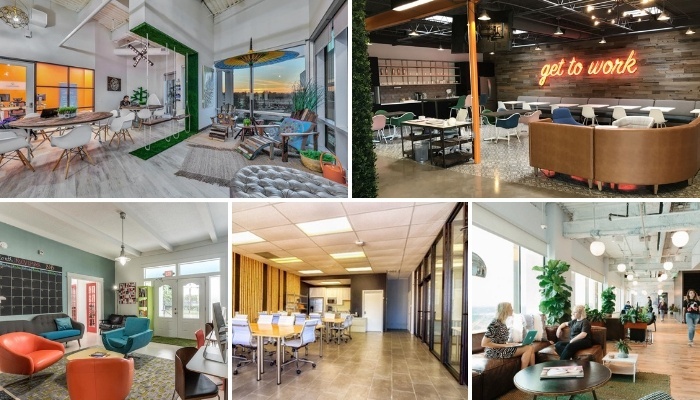 Coworking spaces have been popping up all across the United States and Houston is no exception. Being the largest city in Texas with a population of over 2.3 million, Houston has numerous coworking spaces to support the growing culture. These shared office spaces have been serving startups, freelancers and individual professionals from quite some time now. 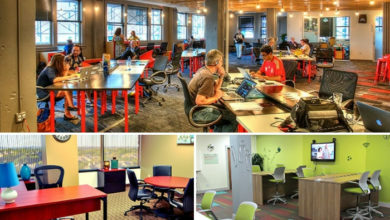 If you are finding a coworking space Houston that is affordable yet cool, this post is for you. 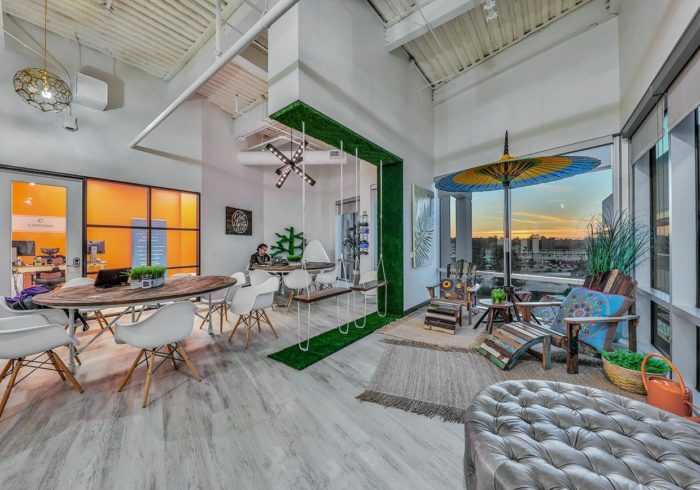 We have listed Houston’s most awesome coworking spaces and even chalked out their details to make it easy for you to find a suitable shared office in the city. Once upon a time, the commercial real estate market in Houston was at a high. Things changed as soon as coworking spaces started to come into existence. As per recent stats, 22% of office spaces in Houston are lying vacant. This is an all-time high figure so far. The reason for the decline of office space occupancy is due to the popularity of coworking spaces in Houston. Let us have a look at some of the most awesome and well designed shared office space Houston. 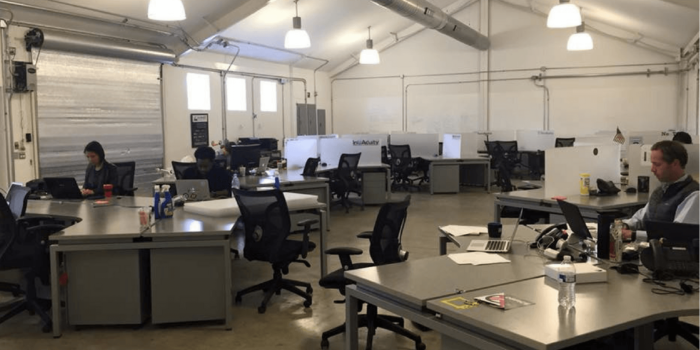 The Work Lodge coworking space Houston has got 2 locations in the city. The interiors at this coworking space are simply beautiful. The offer flexible fully furnished office spaces with the tagline – “Workspace. Reimagined.” which perfectly matches what they offer. At both their locations they offer private office spaces, coworking area and virtual membership. The amenities over here include printing and cleaning services, free parking, access to common areas, free coffee, onsite staff and of course hi-speed wi-fi. Vintage Park: 118 Vintage Park Blvd suite w, Houston, TX 77070. Woodlands: 25700 I-45 North, Suite 400, The Woodlands, TX 77386. Coming soon in central Houston. The pricing at Work Lodge Houston starts from $250 for a month where you get access to the space 24/7 under the open seating plan. The price for private office suites starts from $550 a month where you get unlimited access to the space and all amenities. They also offer virtual membership plans that start from $79 a month and go up to $399 a month depending on the services you choose. Another great coworking space Houston is Wi+Cowork. It is located in the midtown at a walkable distance from the Houston Downtown business centre. One good advantage of this location is that there are many local restaurants, bars, parks, museum etc. nearby. Amenities at WiCowork include Bike racks, parking, a hosted reception, kitchen and whiteboards. Reach 2502 La Branch Street, Houston, Texas 77004. 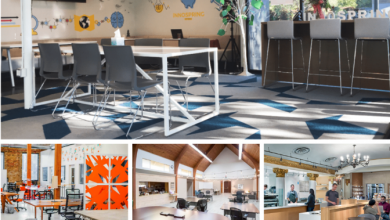 At Wi+Cowork, there are 3 types of office spaces to choose from. Locals coworking (flexi desk) start from $150 a month for 24/7 unlimited access. The second option is the established desk which is basically the dedicated desk. Price for a dedicated desk is $240 a month. They also have a private office which is a container suite for a team of 7 people. The price for this private office is $1500 a month. Local office coworking space Huston is a well designed well-furnished office space for solo entrepreneurs and freelancers. A cozy place, it offers 24/7 access to the office, lockers and free drinks and snacks. Dog-friendly space, printing and scanning services, notary public, phone booths, onsite parking are some of the amenities that are offered here. Office Space: 2617 Bissonnet St #200, Houston, TX 77005, USA. The membership options at Local Office Coworking Houston include open seating, dedicated desks and private offices. A day pass can be availed for $25 which gives you unlimited access to the shared office for full 1 day. Membership for 1 week at this space costs $100 while for a complete month, it costs $199. If you wish to have a dedicated desk and 24/7 access, then you’ll have to pay $449 a month. 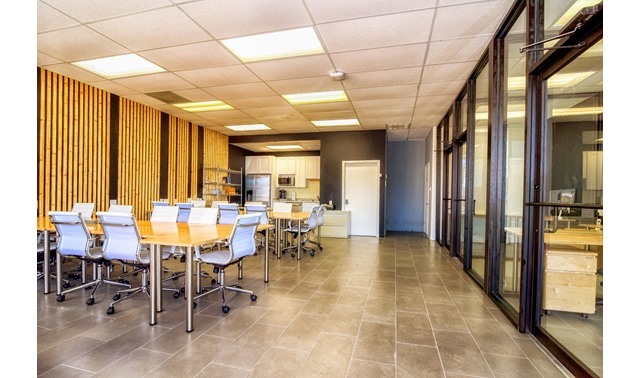 Private office space at this Houston coworking starts from $599 for a team of 2 people and $1749 for a team of 4. Yet another good coworking space Huston is Station. They focus on tech startups and are serious about bringing their startups at the forefront and making them successful. It has hot desks, dedicated desks as well as private offices. Located on Fannin Street, the vision of the coworking space Houston is to launch ventures and develop the district. They also have a dedicated team. Coworking space: 1301 Fannin St #2440, Houston, TX 77002, USA. Membership starts from $150 a month for individuals and $200 a month for startups that are ready to scale up. Over the membership, they have a unique program for add-ons. 24/7 access can be had for $100 a month. However, you need to submit an application to get accepted at Station Houston. Headquartered in Chicago, and with a presence in over 20 cities of the United States, Novel Coworking has 2 locations in Houston, Texas. 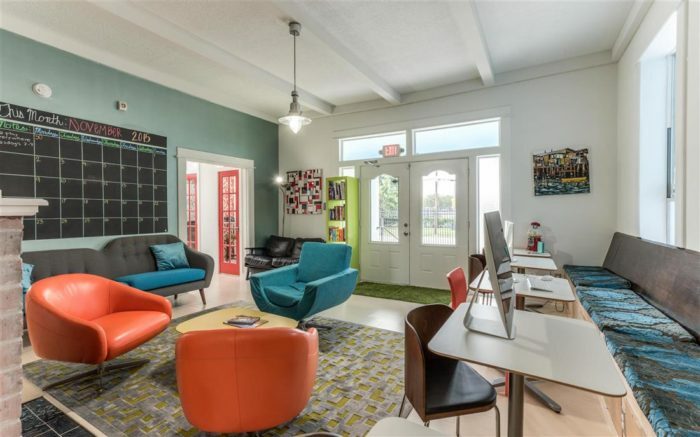 This coworking space Houston is based in Scanlan building and the Theater District. Novel Coworking is one such space right in the heart of Houston’s Central Business District. Being a premium shared office space in Houston, the coworking prices over here are quite affordable. Amenities include Espresso Bar, Local Beer On Tap, Mail Service & Other Utilities. Scanlan Building: 405 Main St, Houston, TX 77002, USA. Theater District: 2713, 720 Rusk St, Houston, TX 77002, USA. The membership plans and pricing at both locations of Novel Coworking Houston locations are same. Basic coworking membership starts from $99 a month and the cost of a dedicated desk is $199 per month. A desk in the shared office will cost $299 while your own private office for 2 people is priced at $399 a month. 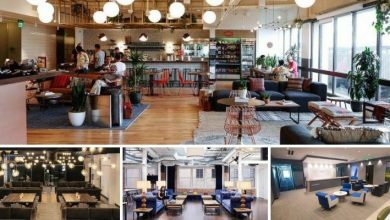 WeWork is the biggest provider of coworking spaces in the world. Out of the 90 cities where WeWork is present, Houston Texas is one of them. 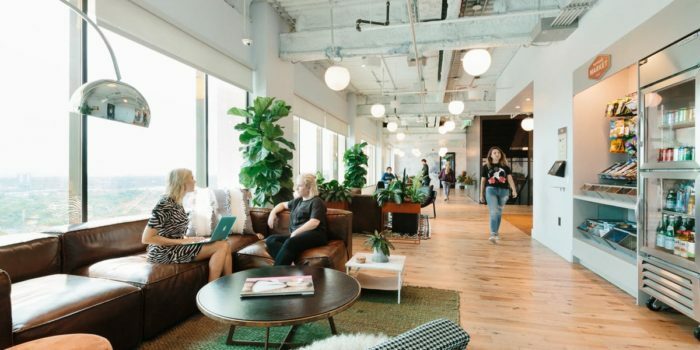 WeWork Coworking Space Houston has 2 locations within the city. One of these is at the Jones Building and the other one is at Galleria Office Tower. 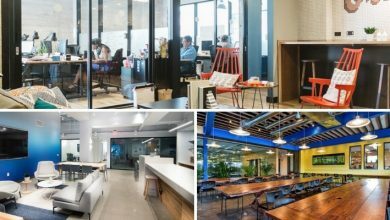 Both these shared office spaces are premium and a bit expansive as compared to other Houston coworking spaces. 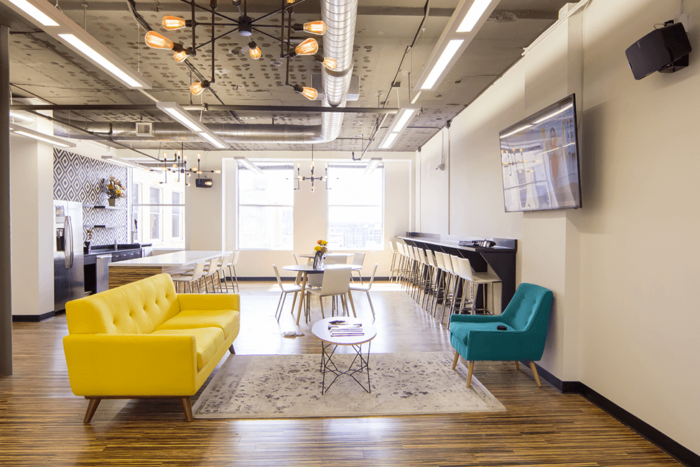 Amenities over here include cleaning services, bike storage, office supplies, phone booth, coffee, beer, 24/7 access and WeWork’s global network. 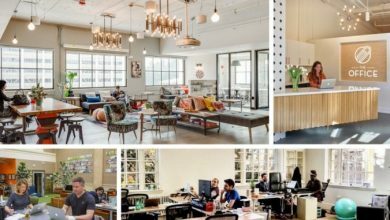 Pricing for a hot desk at WeWork Houston starts from $250 a month and for the dedicated desk, it is $455 a month. Private office space over here starts from $650 a month for a single seat and $700 a month for a team of two. 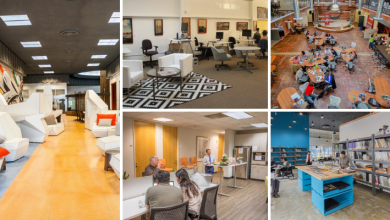 Located at 2500 Yale Street, The Cowork Lab offers coworking space for startups, freelancers and individual professionals. The interiors at this place are well-lit and the furniture is good. The space is based on the ground floor and has ample parking in the front. A lot of events keep on happening at this shared office space from time to time. Amenities at Cowork Lab Coworking space Houston include meeting room access, projector, whiteboard, 24/7 access and a kitchen area. The pricing plans at this location are quite affordable. Basic coworking membership with 1 hour of conference room access is priced at just $89 a month. The second option of premium coworking plan is priced at $99 a month. In case you are interested in a private office, you can get the same at just $399 a month with 16 hours of conference room usage. Houston is the city which is linked to NASA Space Center and hence there is a lot of potential in the ecosystem. You never know what might be the big startup that would come out of Houston, TX. 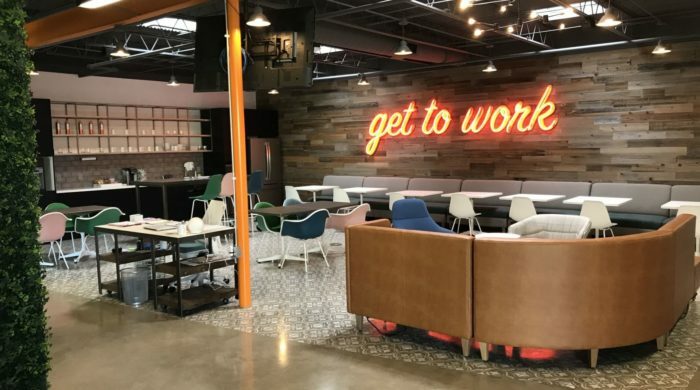 The coworking spaces in Houston are doing their bit to build and grow the ecosystem. Whichever coworking space you may choose, you’ll be a step closer to your dream. Go for it!